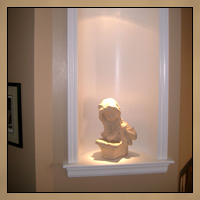 This project features decorative wall trim that covers the entire wall from floor to ceiling. 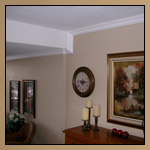 The wall trim pattern was only installed in this living room and dining room. 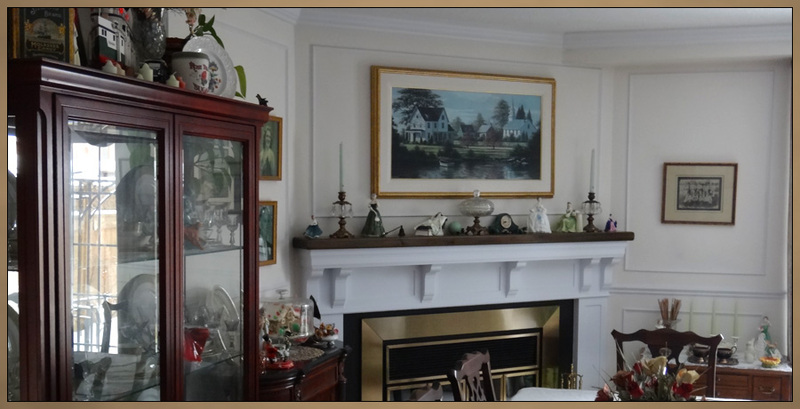 Chair rail was also installed in these two rooms and is an integral part of the wall trim design, with a matching rectangular pattern of finger trim above and below the chair rail. 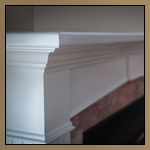 Crown moulding was installed along with new baseboards throughout the entire main floor, second floor and stairway. 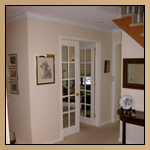 The living room and dining room walls were painted an off white cream color with all of the trim in a crisp white. 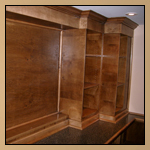 The combination of moulding and color makes for a very elegant, dramatic yet subtle room. 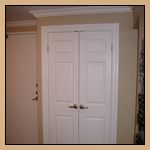 The plain basement door was replaced with an etched glass door along with new casings and hardware to make the room feel larger and more open without revealing the basement stairway. 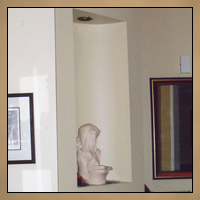 The casing over the doorways includes a keystone design.